I read an article once, ‘Did cavemen get blisters?’ The piece adopted the very simple and highly plausible notion that, without shoes, our predecessors were unlikely to have endured the chaffing motion of skin against material. Thus, in spite of boasting a three-inch thick callus of bone-hard skin on the underbelly of their feet, it was probable that the bane of blisters was never an issue. Whilst traveling in South America several years back, I had the accidental, yet highly informative experience of testing this theory first hand. I was eighteen, and with that, frugal. Midway through a day hike somewhere in Brazil, my flip flops broke. 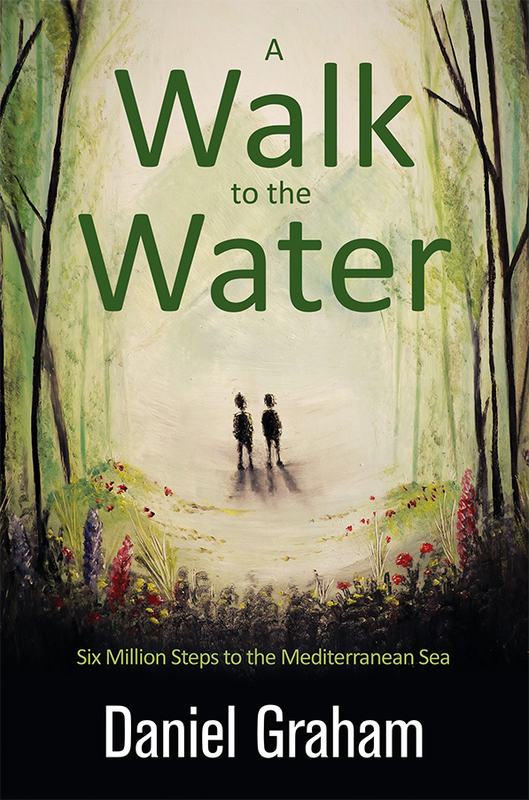 Having mended the wilting footwear several times already, I finally decided that they were beyond repair and discarded them, leaving me with nothing but my bare feet on which to complete the walk. The ground was hot and a little sharp, but I arrived into camp later that afternoon feeling oddly euphoric. The next day I ventured into the local town, still without shoes. My feet were sore from the previous day, but I felt alive, skipping from one patch of shade to the next. An entire month passed by – from Brazil to Argentina, Bolivia to Peru, Salta to La Paz and Cusco to Lima – and still I clung on to my newfound obsession: free the feet and feel the reward. I guess the point I am trying to make is, without shoes I didn’t get blisters. 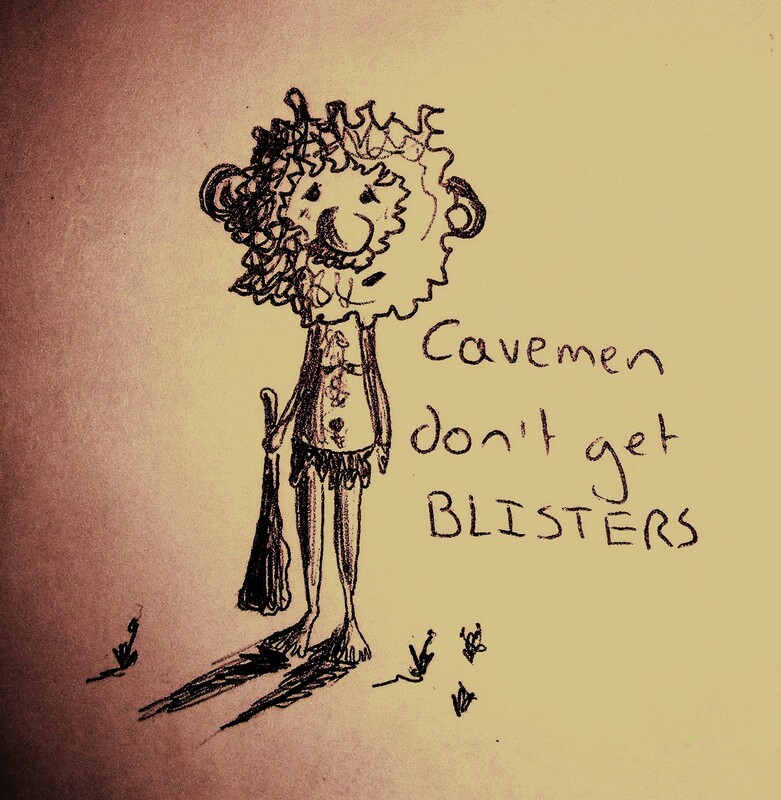 And, it’s more than likely that cavemen didn’t get blisters. By no means am I suggesting that your next trip out to the mountains should be without footwear, but I do propose that, on many occasions, unevolved is better. ← Why does walking promote freedom? Did you eventually develop and 3 inch callous with all that foot freedom? Btw, I really like reading your blog–they have voice, thick description, self-reflection, and fun tales of adventure. Riki, it may not have been quite the proposed three inches, but it was an impressive callus nonetheless. I spent many of the years that followed my trip parading around without shoes, but was soon halted by a bout of chilblains brought on by a particularly cold English winter. Oops! Thank you for your encouragement. I love your blog too, especially the ‘Postcards from the Past’. Sketching and cartooning are such great ways to record our adventures. Keep it up! Shoes are unnatural. Socks are the worst! Barefoot is the way to go :-). I am following you because of this post :-).